Just who exactly are millennials? There is a debate going on about the year span this generation fits in, but for the sake of clarity, let us say that anyone born between early 1980s and 2000s is a millennial. Either way, what makes this generation special is the gap they are bridging between the new age they are living in and the old times they were raised in. This unusual combination of influences has made them both demanding and complying when it comes to their working conditions, ambitions, and aspirations. 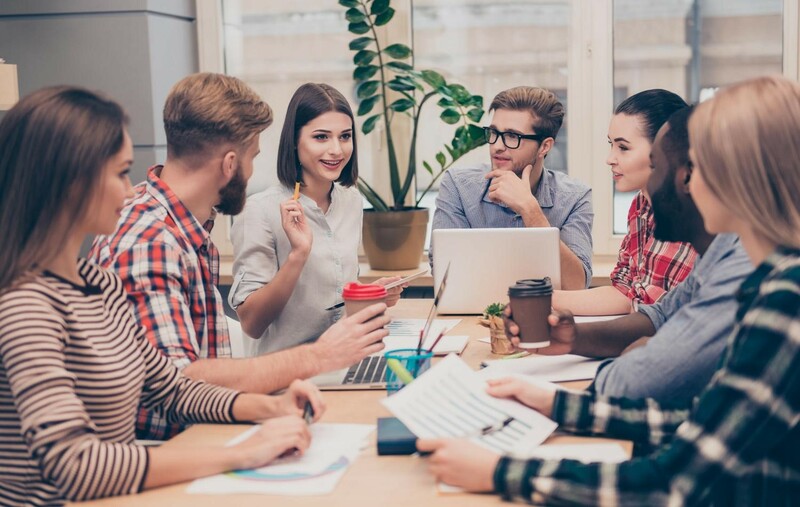 In the light of this, companies who mainly employ millennials have started to realize just how important it is to manage millennials’ workplace in the best possible way. As progressive as they might seem, they still need a gentle push when it comes to their working environment. We may freely say that these young individuals are carrying the weight of so many industries blooming right now. In fact, it is predicted that Generation Y will have made up 35% of the global labor force by 2020. Operating in so many fields, they have grown to realize the importance of environment preservation, and are constantly looking out for the new ways of being eco-friendly. This applies to their workplace, too. In order to attract and retain them, employers should literally go green. Plants in offices have proved to induce positive emotional response, with more and more people reporting that they feel additional motivation and energy to work in spaces with lots of greenery. Not only do plants boost productivity, but they also have tremendous health benefits. In case you’re wondering which plants to choose, check out the list of best office plants to revive your office space. Another important eco-friendly point to keep in mind is sustainability. Sustainable offices primarily focus on eco-equipment and recycling. Energy efficient items such as energy management control units and proactive printers should be set to switch off energy overnight and during holidays, or print double-sided, respectively. When it comes to recycling, your company should aim at recycling anything that can be recycled. You can set up recycling bins and use rechargeable batteries, or even introduce a no-plastic rule where employees would be encouraged to refrain from using plastic cups or bags. Cutting-edge technology is not something millennials demand, they simply take it as a given. Make no mistake by thinking that this is a sign of their overindulgence. They view technology rather favorably and all sorts of gadgets are actually necessary for them to deliver the best results at work.Starting from the immediate working equipment, innovative and efficient items such as a practical electric height-adjustable desk make all the difference. As an extremely tech-savvy generation, millennials thrive surrounded by all things experimental. It may sound too intimidating having to think about these must-have gimmicks, but before you let in on that fear, simply think about this: the millennial generation actually performs best when given the chance to experiment. 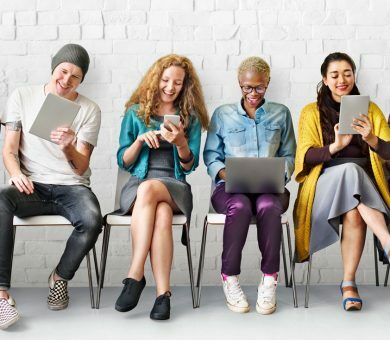 This implies being a part of an online community while constantly on the go, attending online conferences, and gaining certifications – all of which technology enables them to do. You may have heard about the millennial generation being notorious for their laziness. However, the volume of their attention-span is closely linked to their lack of interest in jobs they find unsatisfying. If you manage to present them with challenges on a regular basis, you will be surprised at how well they can perform. On top of that, researchers have discovered that this generation values constant feedback and communication more than anything. This dynamic environment gives them a significant boost, no matter if they receive a negative or positive feedback. In fact, any sort of instant feedback is better than no feedback. You may have guessed that annual reviews are just not their thing. 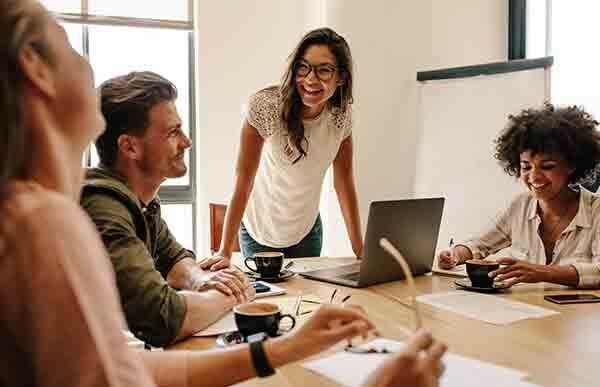 Believe it or not, but companies are competing over millennials because of their entrepreneurial mindset. They are extremely ambition-driven and appreciate flexibility. These traits make them a valuable asset to a company they work for because they love the sense of achievement. The natural curiosity they possess should be utilized to nurture relationships with superiors and mentors in order to achieve coordinated efforts in attaining a company’s goal. The bottom line is that the millennial generation is yet to reach its full potential. What team leaders need to understand about them is their continuous necessity to be given context and motivating communication. It is when companies realize that these people don’t do things on a whim, that they can have millennials work in their best interest. Presenting them with challenges is likely to propel both the company and its young employees forward.